I thoroughly enjoyed answering Judit’s questions for my Liebster Award. They were so thoughtful and unique, and I really appreciated that. Judit is an extremely talented baker and I am very honoured that she chose me for a Liebster Award. Her blog, When Judit Bakes, is a rare gem in the blog world, and I feel inspired whenever I visit. I wanted to dedicate a forest inspired recipe to Judit because she asks about trees and forests in some of her Liebster award questions, and I absolutely loved that. So here is my recipe, and I hope you give it a try if you want a warming drink that will whisk your senses away to the woods. In a medium sized pot, add 3 cups of water and all of your prepared spices and conifer of choice. Cover, bring to a boil, and then turn down the heat and allow the brew to simmer with the lid on for at least 15 minutes. Warning: your house will smell even more lovely. When you are satisfied with the strength and spiciness of the brew, add your black tea bags/tea leaves, and steep for 3-5 minutes. Finally, add a generous splash of milk and your sweetener of choice, and heat again until hot but not boiling. Strain and enjoy! 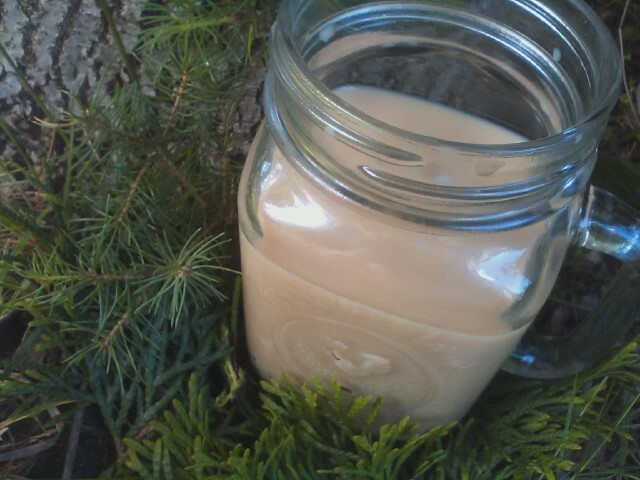 For extra creaminess, use more milk, or if you want your brew stronger, cover and steep for a few minutes longer. I grew up in a medium sized city in Canada that many would see as unremarkable, but I appreciate my hometown for the amount of history and character within it, and the beautiful forests and small towns to visit nearby. I have also always enjoyed the changing seasons here, and love being able to be a beach bum in the summer, and then get all comfy cozy in the winter with my mug of hot cocoa by the fire. What did they want to be? I was obsessed with lions as a child, and wanted to move to the jungle where I imagined I would live happily ever after roaming free with the lions. I know, I know. Not the most realistic plan… But kids will be kids! What are their dreams about? This is a question I’m still trying to figure out, but there are some things I know for sure. I dream someday to have a lovely home by a river surrounded by flowers and trees. I want to have the most gigantic garden, overflowing with berries of every kind imaginable, and orchard upon orchard of plums, apples, cherries, pears and more. I also want to have so many lilacs and roses that the air is drenched with the scent of them. I love animals, and I would absolutely love living on a ranch where I could care for and raise heritage cattle and have a horse to ride around my land and take me to pretty little spots for picnics. I guess my dream is to simply enjoy my days as fully as possible and just feel connected with the people around me and the land we’re on. What is their favourite flavour? I love nut flavours, like hazelnut, pistachio and almond very much. I also adore adding a floral element to my food, this is something that always makes me happy. Then again, I have also been told that I’m a bit of a lemon addict. Do I have to choose just one? What did they bake first? I love them. I feel like I spent the better part of my childhood up in the crab apple tree in front of our house. I love trees for the shade they give us, the many fruits and syrups and wood they provide, the wonder and mystery they provoke, their quiet power. They are also the perfect hiding spot. How do they imagine the perfect forest? My perfect forest would be one that has been allowed to grow as naturally as possible and isn’t too disturbed by humans. I simply adore it when I spontaneously find wild flowers or berry patches, or rivers that can only be crossed by balancing precariously on a log. This is always a very fun time. I also love forests that have secrets. I once stumbled upon an abandoned Victorian mansion deep in the woods surrounded by a spooky looking pond and the most gorgeous towering willow trees. It looked like no one had been there in at least a hundred years, and totally captured my imagination. My perfect forest would also be inhabited by mischievous fairies or “little people” as described in old folk tales. What is their favourite fairy tale? What do they think the perfect cake tastes like? 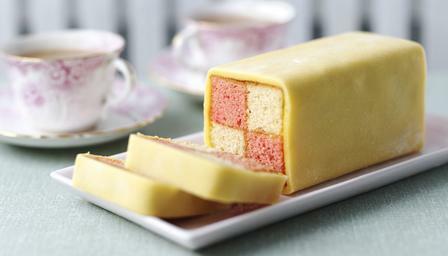 Battenberg Cake, checkered sponge cake spread with apricot preserves and coated with marzipan. 1)I have a sweet tooth but hate all stereotypical candy. If it isn’t homemade, or made with real ingredients I can pronounce, I probably won’t like it. I do however love good quality chocolates, marzipan, and brittles. 2) For me, there is no substitute for butter. It is my favourite fat, and my life vastly improved the day my mom stopped buying margarine and as a kid I realized how great plain old toast could be using butter. My fondness for it has only grown. 3) I hate waste and want to use as much of the animal as I can when I prepare something. I always save bones from meat to make soup, and the leftover drippings from a roast are so great for frying potatoes. I almost always have animal fat in my fridge. 4) I eat eggs almost every day and think they are amazing. You can do so much with them, and as someone who loves to bake and cook a lot, I can never have enough gratitude for their existence. 5) I wish I had a great big guard dog to go exploring with. 6) I love ballet and classical music. 8) I couldn’t live without tea. 9)I really want to try preserving meat using traditional methods such as smoking or salting it. 10) My sister makes fun of me for liking to make so many homemade things and calls me Amish. But I take this as a compliment, since I have a great respect for Amish values. 11) I start every morning with lemon water. Did I mention I love lemons? If you read all of this, I am impressed, and wish I could make you tea and cupcakes as a reward! Since I can’t actually, in my next post I’ll do the next best thing, and share one of my favourite cupcake recipes. Hope to see you again! Hi I love spicy and hot tea, although this one here is a different turn of events. I have never added bay leaves and conifer leaves to tea. What a unique tea, does it taste nice? where do I get the conifer leaves? do I just pick them randomly or what? please let me know. Thanks for stopping by, Hope to see more of you. Take care and pleasant day to you! oh congratulations on your liebster award! Almost forgot that! Hi Liz! There are many variations of masala chai throughout India, and bay leaf is commonly added in certain regions. I’ve experimented with many of the spices traditionally used and the ones listed are my favourite. The bay leaf just gives a very subtle warm undertone that I like, but it is optional. I also sometimes add grated nutmeg or allspice for a twist but didn’t want to scare people off with such a long list of ingredients! 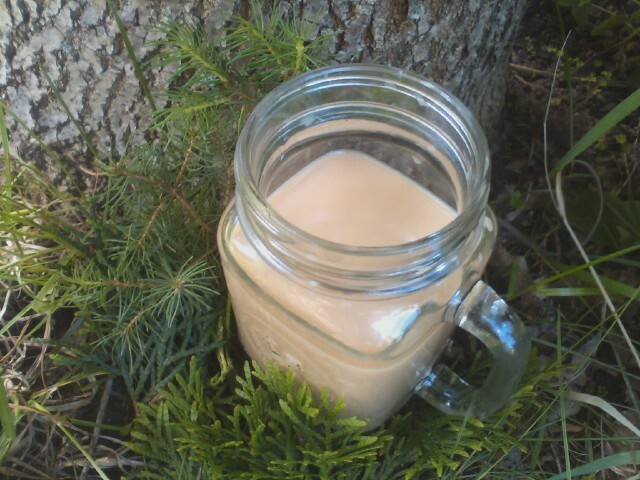 Feel free to try my chai tea recipe without the conifer greens if you just want a basic cup of spicy tea. Adding conifer is not traditional for chai, that was my own idea because the woody evergreen flavour harmonizes well with masala chai spices. It’s not overpowering, and if anything, just gives you a mega dose of vitamin c. Pine needles contain 5 times the amount of vitamin c found in lemons, which I think is pretty neat. And yes, just pick whatever is growing near you! 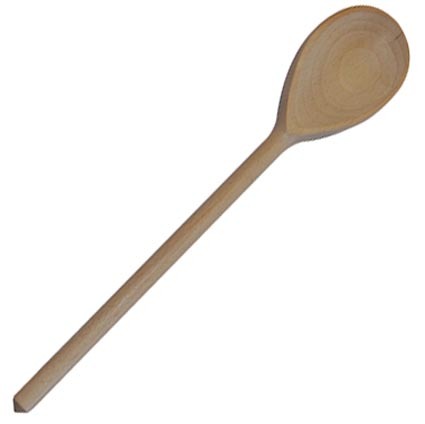 I just used pine, but northern white cedar is supposed to very nice. Try to go for the younger fresh greens. Thank you so much for commenting! And of course it tastes nice, I wouldn’t post it if it didn’t! It’s a very comforting drink, especially in the colder months. I haven’t finished reading your post about butter cake, I’m going to do that now! Thanks for the lengthy tip. I have tried nutmeg in tea, but not bay or pine. I love tea, take at least 2 mugs a day. I shall try the other spices as well and let you know. thanks for sharing and have a great day! No problem, thanks for coming by! I am a great tea lover too, about to make a mug right now 🙂 The other thing I should have mentioned about chai is that it’s really good when you’re feeling under the weather too because of all of the ginger and warming spices. It’s really revitalizing anytime you have it, especially if you’re sick.